The date of Easter appears to jump around the calendar at random, sometimes in March, sometimes in April, and never on the same date in successive years. The formula for calculating when Easter will fall seems shrouded in mystery and secrecy, a piece of arcane knowledge that only a genius like Einstein could possibly understand. Actually, the date of Easter is so easy to calculate that a bright ten-year-old with a calculator could follow the simple steps. It is far from random: the date of Easter this year allows you to predict when it will fall next year surprisingly accurately. And the history behind the formula is a fascinating blend of astronomy, mathematics, religion and politics which spans almost two thousand years. This web site has been created to de-mystify the date of Easter and to share its history. Easter, the most important festival in the Christian calendar, commemorates the Crucifixion and Resurrection of Jesus. In the early Church, these were the events which led Christianity irrevocably away from Judaism, and for almost 700 years, the date of Easter was the subject of debate, disagreement and potential schism. In the Gospels, the events of Holy Week took place during Passover, the Jewish festival which commemorated the exodus of the Israelites from Egypt when the angel of death "passed over" the homes of the Hebrews and spared the first-born. In the Jewish calendar, Passover took place on the fourteenth day of the month of Nisan. The Jewish calendar was a lunar calendar in which the beginning of the month was marked by the new crescent Moon, so the fourteenth day corresponded to the Full Moon. Moreover, Nisan was the first month of the Jewish year, which was arranged so that the new year began at approximately the Spring Equinox. The early Christians, remembering their Jewish roots, continued to celebrate Easter at the time of Passover. They, like the Jewish community itself, could not say in advance when Passover would fall. This decision was the prerogative of the Sanhedrin in Jerusalem and its successors, who kept the method of determining Passover a closely-guarded secret for centuries. By the third century A.D., the Christian churches had rejected the authority of the Jewish councils to decide the date of Passover and had begun to calculate tables of the date of Easter for themselves. This, however, led to internal disagreement. There were two diametrically opposite views. One group were still strongly influenced by the Jewish tradition that the Passover must fall on the fourteenth day of the lunar month. Their insistence on the significance of the number 14 led to them being named Quartodecimians. The other group believed that the celebration of Easter should follow the events of Holy Week, in which the Crucifixion occurred on Friday and the Resurrection on the following Sunday. They held that Easter Day must be a Sunday, regardless of the day of the month. The Eastern Church observed Easter on the fourteenth day of the month. The Western Church observed Easter on Sunday. This quarrel threatened to lead to schism, and it was one of the reasons which led Constantine the Great to summon the leaders of both Eastern and Western churches to the Council of Nicaea in A.D. 325. This Council is best-remembered for the Nicene Creed, the great statement of Christian belief, but it also agreed that all Christians should celebrate Easter on the same date. Contrary to common belief, however, the Council of Nicaea did not propose an actual formula. The rule that Easter is the Sunday following the first Full Moon after the Spring Equinox emerged later. Even then, the matter was not yet settled. There remained the problem of how to predict the date of the Full Moon. Astronomers knew of at least four different cycles which linked the lunar month with the year. There was the Greek cycle which equated 8 years to 99 lunar months. There was the Metonic cycle which made 19 years equal to 235 lunar months. The Roman cycle matched 84 years to 1039 lunar months. Finally, the cycle devised by Victorius in A.D. 457 took the 19-year Metonic cycle and the 28-year cycle of days of the week within the Julian calendar and made a cycle of 532 years. Rome used the 532-year Victorian cycle, but the church in Britain and Ireland, which had always looked first to its Celtic roots, preferred the older Roman cycle of 84 years. For two centuries, Britain and Ireland celebrated Easter on a different Sunday to Rome in certain years. The conflict came to a head in A.D. 664 in the small fishing town of Whitby on the coast of east Yorkshire. There, at the Synod of Whitby, Wilfrid, Archbishop of York, tried to persuade Oswy, King of Mercia, to reject the 84-year cycle. In the end, Oswy announced that he would rather accept the authority of Saint Peter over that of Columba. Oswy wisely did not want to jeopardise his place in Heaven. Rome had won. In about the year A.D. 530, there lived a monk named Dionysius Exiguus - "Denis the Little" - from Scythia in south-west Russia. Like many scholars at the time, Dionysius was concerned with the correct calculation of the date of Easter, and he constructed a table of Easter dates for a nineteen-year period which he designated Anni Domini Jesu Christi 532-550. At the time, years were measured from the beginning of the reign of the emperor Diocletian, two-and-a-half centuries earlier. Dionysius had decided, through careful calculation, that Anno Diocletiani 248 was 532 years since the birth of Jesus Christ. And since Easter commemorates the most important event in the Christian faith, Dionysius believed that it was inappropriate to date the years by the reign of one of the most notorious persecutors that the Church had ever known. By the simple act of counting the years Anni Domini Jesu Christi, Dionysius gave the Western world the system for numbering the years that is still used today. It found its first champion in the eighth-century historian, the Venerable Bede, who used it in his Ecclesiastical History of the English People. Several variations upon Anno Domini were also used: Anno incarnationis Dominicae, "in the year of Our Lord's incarnation"; Anno a Nativitate, "in the year after the Nativity"; Anno a Passione, "in the year after the Passion"; Anno Gratiae, "in the year of Grace"; Anno salutae humanae, "in the year of human salvation". Historians and theologians now agree that Dionysius made a mistake in calculating the year of Christ's birth. The historical evidence makes it impossible for the Nativity to have occurred later than about 4 B.C., because that was the year in which Herod the Great is known to have died. There is also astronomical evidence which links the Star of Bethlehem with a triple conjunction of Jupiter and Saturn in 7 B.C., an event which would have been of the greatest significance to astrologers because it meant that the two planets approached one another in the sky three times in a period of only six months. The calendar of Julius Caesar was a durable attempt to make the average length of the calendar year match the length of the tropical year. Its simplicity - add an extra day to February every four years - was its greatest virtue. By a stroke of luck, the monk Dionysius Exiguus calculated the year of the Nativity in such a way that leap-years Anno Domini are those which are divisible exactly by four, which is an easy rule to remember. But this simplicity has a price. Four years in the Julian calendar are equal to 1461 days, so that the average length of the year is 365.25 days. This is 11 minutes 15 seconds longer than the true length of the tropical year. It may not seem very long - less than the time it takes to boil the kettle and make a cup of tea - but each year is too long by 11 minutes 15 seconds and the discrepancy builds up. After only 128 years, it becomes an entire day. Every 128 years, the seasons begin a day earlier in the calendar. The ancient Egyptians lived quite happily with a calendar that allowed the seasons to slip by a day every four years. The Greeks and Romans were content to live with the haphazard intercalation required by a lunar calendar. The Christian church, however, had fought bitter internal battles over the calendar, and especially over the date of Easter, which the Council of Nicaea had linked inextricably with the date of the Spring Equinox. But the equinox was moving backward through the calendar! As early as the 8th century, the Venerable Bede had noticed that it no longer fell on March 21st, the day allotted to it by the Council of Nicaea. By the early Middle Ages, astronomers agreed that something must be done, but to change the calendar was not a step that could be taken lightly. Successive Popes studied the problem and declined to act. It fell to Pope Gregory XIII to correct the accumulated error and to ensure that future generations would not face the same dilemma. Pope Gregory XIII was born Ugo Buoncompagni in 1502 in Bologna. He studied law and became a lecturer and judge in his native town. In 1539 he went to Rome, and in 1549 he was sent to the Council of Trent, an ecumenical council which met fitfully over the course of some twenty years from 1545 to discuss matters of importance to the Roman Church. In 1565, Ugo was elected a cardinal and in 1572, became Pope, taking the name of Gregory XIII. In 1577, Gregory sent a letter to all Catholic princes, describing his proposal for reforming the calendar. The letter was entitled Compendium novae rationis restituendi Kalendarium, or "Compendium of a New Way of Restoring the Calendar". By 1582, aged 80, he was ready to act. He issued the apostolic letter Inter gravissimus which ensured his place alongside Julius Caesar as a man who could impose his will on the very course of time itself. Among the most serious tasks, last perhaps but not least of those which in our pastoral duty we must attend to, is to complete with the help of God what the Council of Trent has reserved to the Apostolic See. The final session of the Council of Trent, in December 1563, had left it to the Pope to complete the reform of the Mass and the breviary. The latter also incorporated a provisional calendar reform, intended to correct the calendar's predictions of the dates of New Moon, which were by now four days out of step with the real Moon. New discrepancies were to be prevented by the inclusion of an additional leap day every 300 years, from 1800 onwards. Pope Gregory called together a commission to advise him on the reform of the calendar. One of its most assiduous members was Christopher Clavius. It was the commission's recommendations that the Pope adopted in Inter gravissimus. The Gregorian reform of the calendar had three parts. First, in order to restore the Spring Equinox to March 21st, the date set by the Council of Nicaea, ten days were to be omitted from the calendar in October 1582. Thursday October 4th was followed by Friday October 15th. The cycle of days of the week was not interrupted, but October 5th to 14th did not exist in the year 1582. Second, in order to bring the average length of the calendar year into closer agreement with the length of the tropical year, three leap years were to be omitted in every four centuries. Every centurial year which was not divisible by 400 would not be a leap year. This was a clever ploy. The next centurial year was 1600, only eighteen years away at the time of Inter gravissimus, and it would be leap year in the new calendar as well as the old. Nobody living through Gregory's calendar reform would ever need to worry about the revised rule for leap years. Nonetheless, it had the effect of making 400 years equivalent to 146097 days, giving an average calendar year of 365.2425 days, just 26.8 seconds longer than the tropical year. This discrepancy would amount to one day in 3200 years. No further reform of the calendar would be needed until the 49th Century A.D.! Third, as the new leap year rule meant that the days of the week would no longer repeat every 28 years, the 532-year cycle of Victorius could no longer be used to construct tables of the dates of Easter. A new method for computing Easter had to be devised, and it required a set of corrections to allow for the fact that ratio of the length of the calendar year to that of the lunar month had also changed. The dates of Easter in the new calendar would now repeat in a cycle which was 5,700,000 years long. The new calendar was accepted without delay in Italy, Poland, Spain and Portugal, all of whom adopted it on the date stipulated in Inter gravissimus. France and Belgium moved to the new calendar in December 1582. The Catholic regions of Germany, Austria and Switzerland moved during 1583 and 1584; other regions of those countries waited in some cases until 1701. In England, memories were still fresh in 1582 of Henry VIII's split from the Church of Rome. Elizabeth I had been excommunicated by an earlier Pope in just such an apostolic letter as Inter gravissimus. Nonetheless, the calendar reform met a sympathetic attitude on the part of the secular authorities. The Queen referred the matter to John Dee, a noted mathematician, who responded favourably. Dee's verdict was passed in turn to the astronomer Thomas Digges, Henry Savile, a patron of the sciences, and a Mr Chambers. All three endorsed Dee. The matter was then referred in March 1583 to the Archbishop of Canterbury, who was invited to confer with his bishops and return a reply as quickly as possible, as the Queen intended to make a proclamation in May of the following year to announce the adoption of the new calendar. The Queen and her ministers did not receive the favourable reply that they had hoped for. The response from the English churchmen was full of invective against the Pope, who was denounced as the Antichrist. It was argued that what was done by the Council of Nicaea could only be undone by another council at which all the churches took part. The Council of Trent was not such a council, and since the Protestant churches regarded the Pope as Antichrist, they could never enter into dialogue with the Catholic church. There could be no second Council of Nicaea. England would remain with the Old Calendar for another 170 years, ten days (eleven from 1700) behind of the rest of Europe and observing the New Year on March 25th. Letters to Europe carried two dates, one in the Old Style and one in the New Style. Easter would also be celebrated on a different date in England until 1752, when the Gregorian calendar was finally adopted in England and her colonies, including those in America. The church year includes many observances which are linked to the date of Easter. Since Easter can occur on any date between 22 March and 25 April, these observances also occur on different dates from year to year. Lent begins on Ash Wednesday, which is the Wednesday of the seventh week before Easter. For many Christians, it is a period of reflection and self-denial which has its biblical foundation in the forty days which Jesus spent in the desert. Lent is actually 46 days long, but the six Sundays are not traditionally counted. In many countries, the day before Ash Wednesday is marked by celebrations. In France, it is called Mardi Gras, or Fat Tuesday, to mark the last day on which richer foods may be eaten before the Lent fast begins. In England, it is known as Shrove Tuesday, and it is traditional to make and eat pancakes. On Ash Wednesday itself, many Christians place a cross made of ashes on their foreheads, as a mark of repentance. In the English church, the fourth Sunday of Lent (which is three weeks before Easter Day) is known as Mothering Sunday. On this Sunday, it was traditional for people to return to their mother church. Servants were given time off to allow them to do this, and it was a time when families could gather together. In addition, a brief respite from the Lenten fasting was allowed. This is reflected in the English tradition of making Simnel cake, a rich fruit cake topped with marzipan, and often decorated with twelve marzipan balls to represent the Apostles. Palm Sunday is the Sunday before Easter Day. It recalls the entry of Jesus into Jerusalem. According to the Bible, the crowds scattered palm branches in front of Jesus. Palm Sunday is the beginning of Holy Week. Maundy Thursday is the Thursday before Easter Day. It marks the Last Supper, the Passover meal which Jesus ate with his disciples. According to the Bible, Jesus washed the feet of his disciples during the Last Supper. This gesture of humility is copied by priests in some Christian denominations during services on Maundy Thursday. In England, the King or Queen takes part in the the Ceremony of the Royal Maundy. A small purse containing commemorative coins is given to a group of senior citizens comprising one man and one woman for every year of the monarch's reign. In medieval times, the monarch would wash the feet of the poor, but this practice was abandoned in the 17th century. Good Friday recalls the Crucifixion and death of Jesus. It is a solemn day for Christians, and many denominations observe it with fasting and church services. It is a public holiday in many countries, and some have laws prohibiting activities that might be seen to profane the day, such as horse-racing and the sale of alcoholic drinks. Some churches observe an Easter vigil from Good Friday until the morning of Easter Day. The hymns for Good Friday are sombre. The Bible tells that the tomb of Jesus was found to be empty on the third day after the Crucifixion, and that the risen Jesus appeared to the women who had come to wash his body in the tomb, and later to his followers on the road to Emmaus. In the ancient tradition of counting days inclusively, the third day was the Sunday, and Easter is therefore observed on a Sunday. Churches celebrate the Resurrection with services of a joyful nature on Easter Day. Many churches hold a service at sunrise. The church itself is often decorated with flowers, and the priest or minister will wear vestments in green or gold. Ascension Day is the Thursday which falls on the fortieth day of Easter. It marks the return of Jesus to heaven, as recounted in the Acts of the Apostles. Pentecost is the fiftieth day of Easter, and falls on a Sunday since Easter Day as counted as the first day. It commemorates the descent of the Holy Spirit to the Apostles and other followers of Jesus. In England, this is is called Whitsunday (a contraction of White Sunday) and it was traditionally marked with fairs and other local festivities. The following Monday was a public holiday until it was replaced by the Spring Bank Holiday in 1972. It remains a public holiday in other European countries. In the liturgical calendar, Pentecost marks the end of the Easter season, and the resumption of the regular cycle of worship known as Ordinary Time. The mathematics required to calculate the orbit of the Moon accurately only began to be developed in the late 17th century, with Newton's discovery of the law of universal gravitation and his invention of the branch of mathematics which we now call calculus. This was almost a hundred years after the calendar reform of Pope Gregory XIII. As a result, the method for calculating the date of Easter has never used the real Moon. Instead, an idealised version, known as the ecclesiastical Moon, is used. The phases of this fictitious satellite are much simpler to calculate than those of its real counterpart. At the heart of the Gregorian method for calculating the date of Easter, there are two simple approximations. First, the length of the lunar month, from one Full Moon to the next, is assumed to be 29.5 days. This makes 12 lunar months exactly 354 days long. Moreover, the length of the calendar year is assumed to be 365 days, which ignores leap years completely. As a result, the age of the Moon at the start of each year is 11 days greater than at the start of the previous year. This leads to the concept of the Epact, which is the age of the ecclesiastical Moon at the start of the year, expressed as a whole number of days. The age of the Moon can never exceed 30 days, so whenever the Epact grows beyond that limit, we subtract 30 from it. The second approximation is the Metonic cycle. This was named after its discoverer, Meton of Athens, who lived in the 5th century BCE and used the cycle in constructing calendars for his native city. In the Metonic cycle, 235 lunar months are equated to 19 calendar years. If we substitute the lengths of the average true lunar month (29.520589 days) and the average year in the Gregorian calendar (365.2425 days), we find that the discrepancy is less than two hours. Notice that each year's epact is 11 greater than that of the previous year, and that we subtract 30 whenever the epact would exceed that value. Notice also that when we move from the last year of one Metonic cycle to the first year of the next, the epact increases by 12, not 11. The extra day is known as the saltus lunae or "leap of the Moon". The Gregorian calendar omits a leap year in century years that are not divisible by 400. For example, 1900 was not a leap year, even thought it is divisible by 4. The Easter calculation allows for this by adjusting the entire table of epacts with a correction called the Solar Equation. This increases by 1 in every century year which is not a leap year. The Metonic cycle is not exact. It accumulates an error of one day every 308 years, and this would cause the phases of the ecclesiastical Moon to drift away from those of the real Moon over the course of many centuries. Accordingly, a second correction, called the Lunar Equation, is applied to the table of epacts. The Lunar Equation follows a 2500-year cycle in which it increases by 1 eight times, in every third century year. The Lunar Equation is added to the epact, whilst the Solar Equation is subtracted from it. In some century years, neither correction changes. In other century years, when both the Solar Equation and Lunar Equation are increased by 1, they cancel each other out. As a result, the same table of epacts may be used, unchanged, for two or even three centuries. This is the case from 1900 to 2199. In 2000, neither the Solar Equation or the Lunar Equation changed, so the table of epacts for the years 1900-1999 remains valid for the years 2000-2099. In 2100, they will both increase by 1, so the same table of epacts remains valid for 2100-2199. However, in 2200, the Solar Equation will increase by 1, but the Lunar Equation will not change. A different table of epacts will be required for 2200-2299. There are two special rules which are applied to the table of epacts. The first says that if the epact 24 appears, it must be replaced by 25. This seemingly arbitrary rule ensures that Easter can never fall later than 25 April. If epact 24 were allowed, then the date of the Paschal Full Moon would be 19 April, and if that day were a Sunday, then Easter would fall on 26 April. This never happened under the old calendar, since the table of epacts used before the Gregorian reform did not contain the value 24. In order to preserve the pre-Gregorian range of dates of Easter, this rule was introduced to re-write epact 24 as epact 25. The second rule states that if the Golden Number of the year is greater than 11, and the epact in the table is 25, then it should be replaced by the value 26. This rule is required to fix a problem created by the first rule. Since the epact increases by 11 in each successive year, and the value is reduced modulo 30, then a gap of 11 years increases the epact by 1. For example, in year 3, the epact is 21. In year 14, eleven years later, it is 22. Now suppose that epact 24 occurs early in the table. This means that epact 25 will also occur in the table, eleven years later. But by the first rule, we have replaced epact 24 by 25. The table now contains two years with epact 25, which means that the Paschal Full Moon falls on the same date in both years. This cannot happen to the real Moon. Consequently, the second epact 25 must be changed to 26. The instructions below show you how to calculate the date of Easter for any year in the modern calendar. The figures in the second and third columns show the calculation for this year and next year. You can use the right-hand column to calculate the date of Easter for a year of your choice. All of the calculations are done using whole numbers. Whenever you are asked to divide and keep only the whole number, simply ignore the decimal part. For example, in Step 2, you are asked to divide the year by 4. If the year were 2007, this would give 501.75, but you ignore the decimal part and write only 501. Some steps ask you to divide one number by another and write down the remainder. Suppose you are asked to divide 33 by 7 and write down the remainder. First, divide 33 by 7 to get 4 plus a decimal part. Now subtract 4 times 7 from 33 to get 5. That is the remainder. Divide the year by 100 and keep only the whole number. This is the Century Number. Call it C.
Subtract 15 from C and multiply the result by 3. Divide the previous line by 4 and keep only the whole number. Add 10 to the previous line. This is the Gregorian Correction. Call it Q.
Divide the year by 4 and keep only the whole number. Add the year to the previous line. Add 4 to the previous line. Subtract Q from the previous line. Divide the previous line by 7 and write down the remainder. Subtract the previous line from 7. This is the Dominical Number. Call it L.
Divide the year by 19 and write down the remainder. Add 1 to the previous line. This is the Golden Number. Call it G.
Multiply the Golden Number, G, by 11. Subtract 10 from the previous line. Divide the previous line by 30 and write down the remainder. This is the Julian Epact. Call it J.
Subtract 10 from the Gregorian Correction, Q. This is the Solar Equation. Call it S.
Subtract 14 from the Century Number, C.
Multiply the previous line by 8. Divide the previous line by 25 and keep only the whole number. This is the Lunar Equation. Call it M.
Subtract the Solar Equation, S, from the Julian Epact, J. Add the Lunar Equation, M, to the previous line. If the previous line is zero or negative, add 30 to it. Repeat if necessary, until you get a positive number. Divide the previous line by 30 and write down the remainder. This is the Epact. Call it E.
If the Golden Number, G, is more than 11 and the Epact is 25, change the Epact to 26. If the Epact is 24, change the Epact to 25. If the Epact, E, is less than 24, subtract E from 44, otherwise subtract E from 74. Call this D.
If D is less than 32, then the Paschal Full Moon falls on that day in March. If D is 32 or larger, then subtract 31 from D, and the Paschal Full Moon falls on that day in April. Subtract the Dominical Letter, L, from the previous line. Divide the previous line by 7 and write down the remainder. Call it W.
Add 1 to the previous line. where Sunday is the first day of the week. Add 7 to D and then subtract W.
If the result is less than 32, then Easter falls on that day in March. If it is 32 or larger, then subtract 31 from it, and Easter falls on that day in April. Easter is the Sunday following the day of the Paschal Full Moon. In the year 1054, a schism occurred between the centres of Christian authority in Rome and Constantinople over a number of long-standing theological differences. Today, this separation still exists, between the Eastern Orthodox church and the Western churches comprising Roman Catholicism and the numerous Protestant denominations. The calendar reform of Pope Gregory XIII in 1582 was not recognised by the Eastern Orthodox church, which continues to use the Julian calendar to set the dates of religious festivals. As the Gregorian calendar is now 13 days ahead of the Julian calendar, this means that the Eastern Orthodox church celebrates Christmas on 6 January in the civil (Gregorian) calendar. The Eastern Orthodox church also retains the old formula for calculating the date of Easter, which means that the Full Moon which determines Orthodox Easter may be a whole lunar month later than the one that determines Easter in the Catholic and Protestant churches. Ad 1 to the previous line. This is the Golden Number. Call it G.
Subtract 11 from the previous line. Divide the previous line by 30 and write down the remainder. This is the Julian Epact. Call it E.
If the Epact, E, is greater than 16, subtract E from 66, otherwise subtract E from 36. Call this D.
Note that this date is expressed in the Julian calendar. 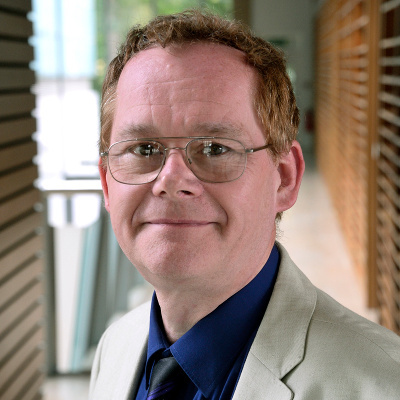 David Harper has a BSc in mathematics and astronomy from University College London and a PhD in applied mathematics from the University of Liverpool. In his early career, he was a professional astronomer. He taught astronomy and mathematics at Queen Mary University of London and worked at the Royal Greenwich Observatory in Cambridge. His areas of astronomical expertise are celestial mechanics (calculating the orbits of planets and satellites) and positional astronomy (calculating the positions of the Sun, Moon and planets). He currently serves on Commissions of the International Astronomical Union (the world governing body of astronomy) devoted to these fields. David is also a Fellow of the Royal Astronomical Society. Since 1999, David has worked at the Wellcome Sanger Institute, one of the world's leading genome research institutes, though he continues to enjoy astronomy in his spare time. In addition to this web site, he contributes to the annual Yearbook of Astronomy and a research collaboration on the dynamics of planetary satellites. Your token will appear here shortly.